100K Challenge Complete and a little SURPRISE! This is the best blog post to write as I have finally finished my 100k Challenge and I have a little surprise. Firstly, sorry for the last 3 runs all being blogged together but there's a couple of reasons. One is that I've had issues with the internet not allowing me to upload pics to blogger, the other is a little interesting detail about times! 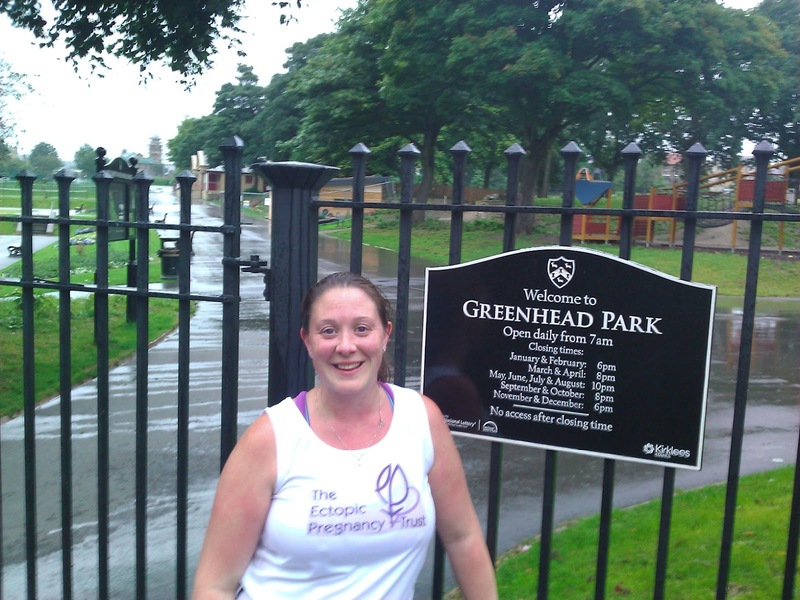 I did Huddersfield parkrun on 8th, 22nd and 29th of September and my times were 37:56, 39:45 and 37:58. Anyone notice anything unusual?!?!? Yes my times are far slower than my PB, getting slower every race and YES there is a reason! 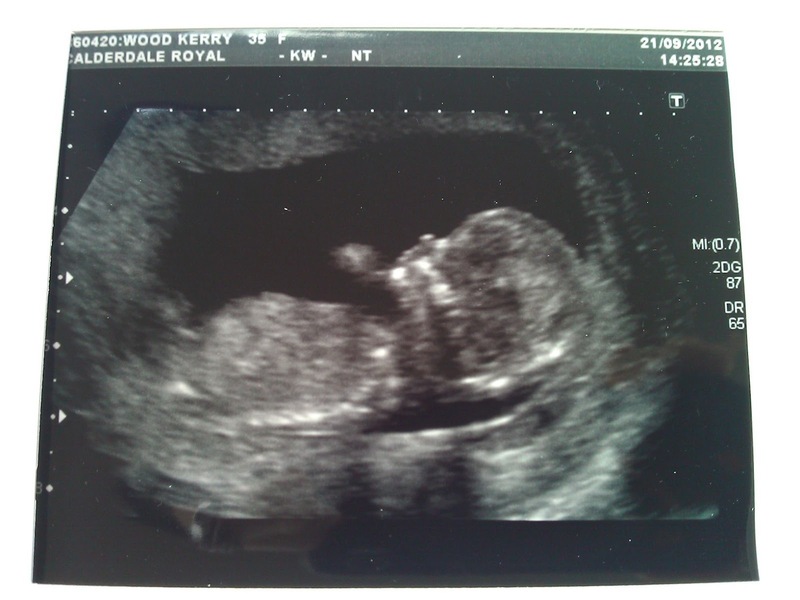 At the end of July, 40k into my challenge, came the news we were least expecting! We were expecting! We couldn't believe it, a little miracle. So there's my surprise! I can now tell you all how my 100k challenge really went! At 40k we did the Chernobyl Challenge and even though I had a cold I had an amazing race, nearing that elusive sub 60 time. After that we had our fabulous news and then the runs just went downhill. I was still keeping up to my training for a good few weeks but found Idle Trail race impossible as I was so worried. Worried I'd fall like many others around me, worried that whilst we were pregnant we didn't know it wasn't another ectopic, worried that I'd not get to the end, so all that made for a tough race. 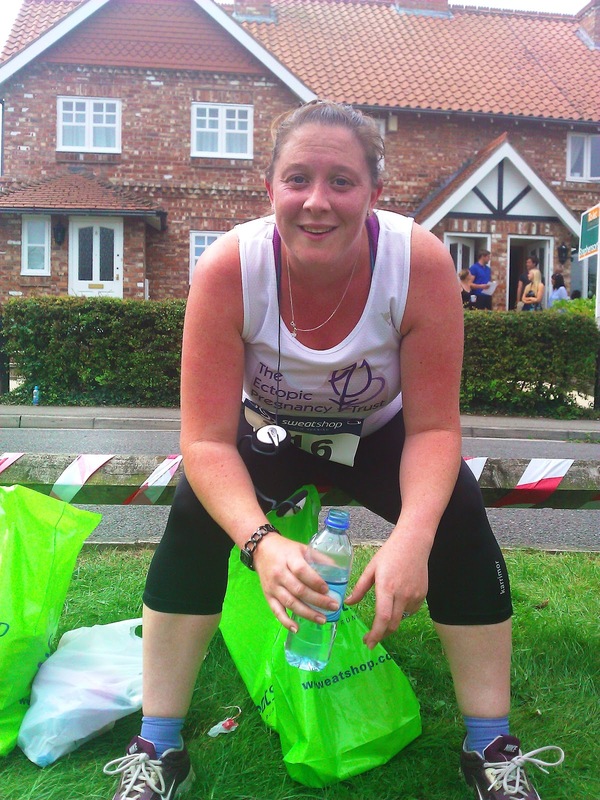 Next challenge came the Escrick 10k; the one in the blistering heat with people passing out. "Whatever you do" said the DR "make sure you keep your pulse under 140 and don't overheat"! Ha Ha! I had to walk at times during that race because the heat was so intense. At 1 hr 18 minutes (when I still wasn't back) Jonathan was thinking about running backwards through the course to find me, but fortunately there I was coming in at 1hr 20. I've followed that up with the remaining 5k's, mostly at Huddersfield though other notable performance was at Littleborough where I was last! Actually, really, totally and utterly the last person back! 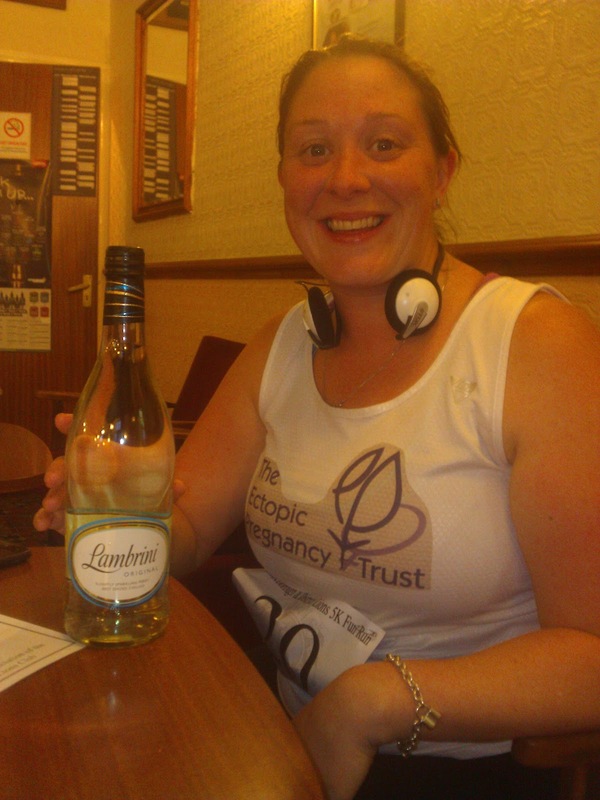 How mortifying, because I couldn't tell anyone that I was the first pregnant woman back and I even won a bottle of wine that I couldn't drink for being last place! Ha Ha. 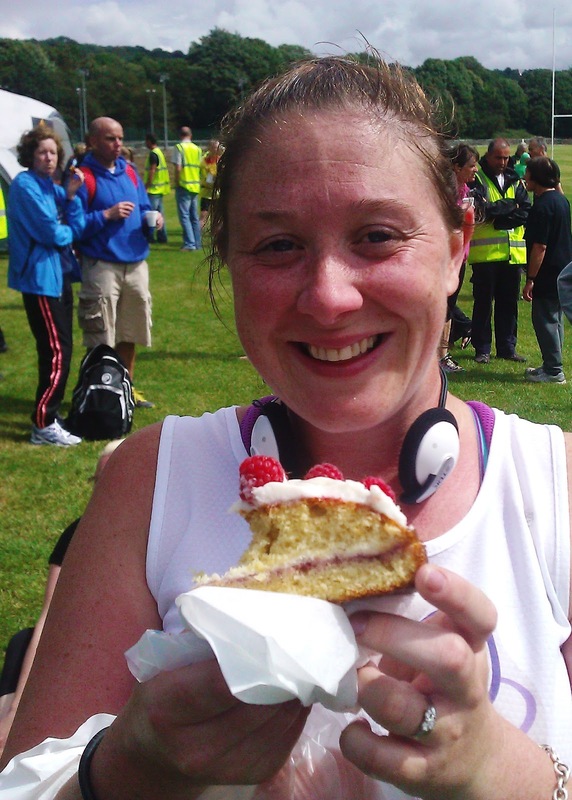 The Parkruns at Huddersfield have been a challenge as I've been really ill with nausea and sickness. Given the run passes the bins and café twice it's been fun! As the more vigilant will see as well, my parkrun time has gone from 30 minutes to nearly 40 minutes. 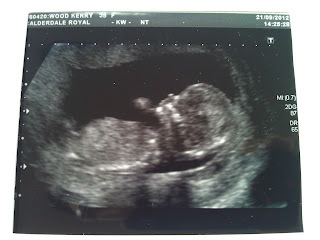 Who would think such a little miracle could have such a big impact! From not running a mile in January, to running nearly 200 miles by October, between training runs and the challenge. I'm really proud that even though I've been so ill in early pregnancy I've dug in and carried on and finished, albeit slightly slower than I started. It's time to hang up the running shoes now though I think. 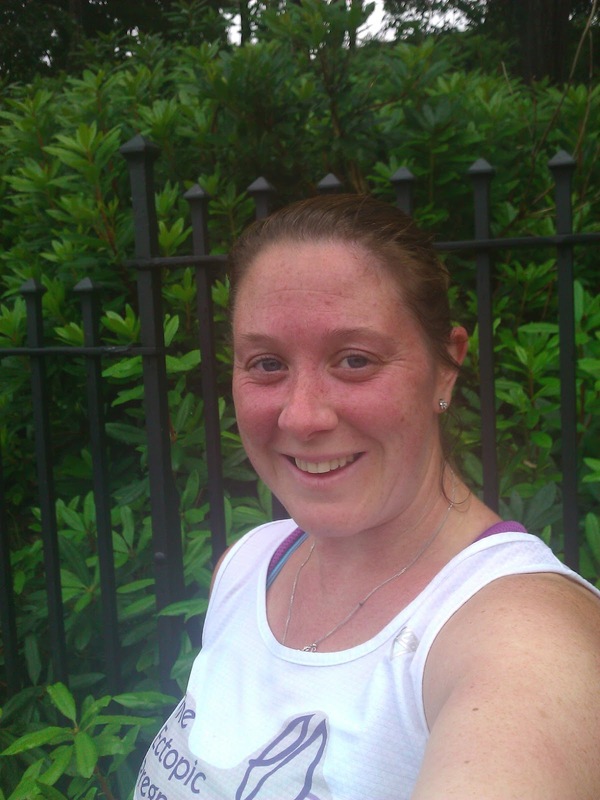 The runs are getting increasingly challenging, I'm struggling to get my breath and feel like I've got a big bowl of heavy jelly in my tummy (that because of the sickness wants to escape) – definitely time to finish! I'll start again next year sometime because I have enjoyed that running high and it's been a great way to get fit. So that's it, the 100k challenge is complete; I can't believe I've done it. If anyone still wants to sponsor me but hasn't had chance I'll be keeping my Virgin Money Giving page open for a short while. 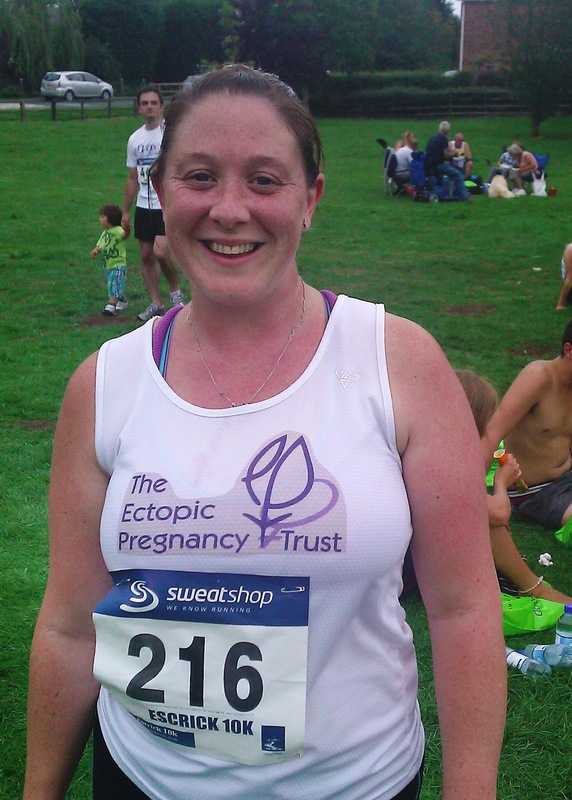 Please feel free to visit, as any funds you give will be greatly appreciated by the Ectopic Pregnancy Trust. In addition it's been lovely to be asked to write an entry for the Ectopic Trust Fundraiser Diary so feel free to pop over for a read. I'll leave you with one last hilarious picture! 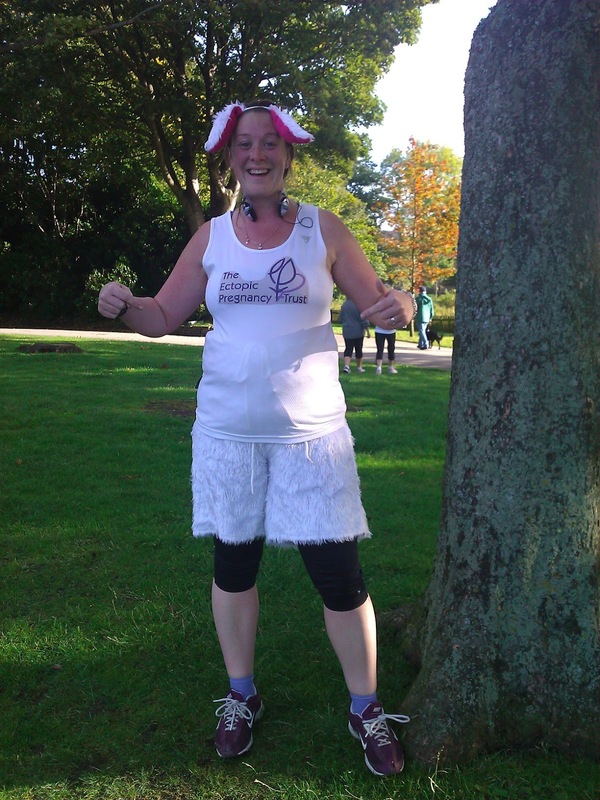 Today I was the Parkrun bunny (a runner who gets to dress up in mahoosive fluffy shorts complete with a pink tail and fluffy matching ears). So here's my picture dressed up as the Bunny complete with baby Bunny on board. Time for me to sit with my feet up for a little bit now, back to sewing updates soon. This week has been super busy with another 10k completed (2 runs), a little birthday break, a cocktail party and Scarecrows too! 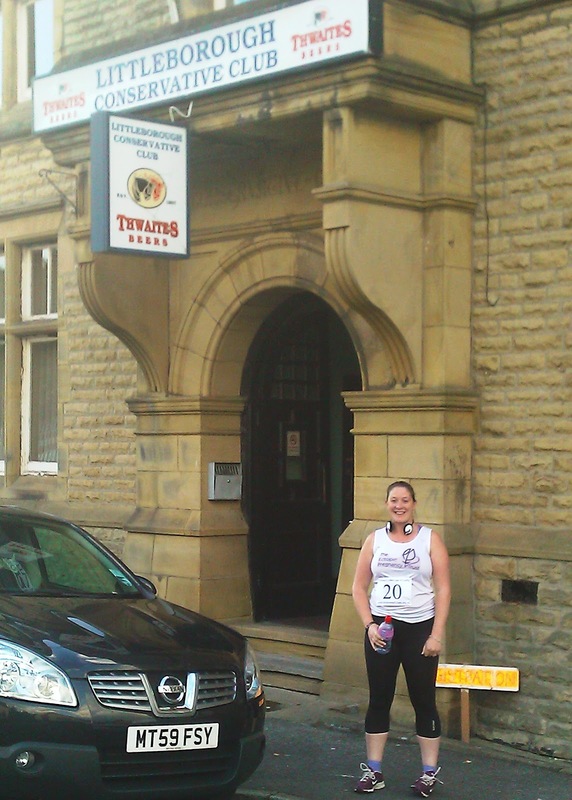 The first run of the week was the Littleborough Lions 5k which was a lovely local race with quite small numbers (45) running but really friendly. It wasn't too bad in that it was only 5k though there was quite a climb through mile 2 so that was a challenge. It has to be said though that it was a lovely view that greeted me as I came down from Hollingworth Lake into Littleborough for the finish. A not great but not awful time of 33:21 and I even won a spot prize of a bottle of wine! We then had a lovely couple of days away for my birthday chilling out by the pool in the hotel and managing to squeeze in a little shopping too. Friday night saw Jonathan and I do our first Freedom Parkrun at Huddersfield as we had a busy Saturday planned so I knew I'd struggle to make the Saturday Run. The Freedom runs work on a system that if you have previously run at a Parkrun event then you are able to track your own time round the course and then have it recorded with your other results. We both ran and decided it was great being able to still do the 5k run even though we weren't available Saturday but that without competition we were both a little slower (I ran it in 35:15). That said to end the week with another 10k under my belt and only 15k to go is great. Saturday was a busy day with stage class and a party for Bella then prep for our once a year cocktail party. We had a fab night with friends and I finally got chance to wear my latest project from sewing class. Then to wrap up my busy week we went along to the Norland Scarecrow Festival and then had a nice relaxed afternoon and family meal for my birthday. Next run is the normal Huddersfield Parkrun on Saturday which will take me to 90K! I can hardly believe that I'm nearly done! Today I was back at the good old Huddersfield Parkrun and for once it wasn't red hot! Didn't seem to help my time of 33:24 but it was nice to run on a damp day after last week. Feeling a bit defeated about how sporadic the timing can be but then I've looked at the stats for the top 2/3 guys who are reasonably consistent and super fast and their times can vary by 1-3 minutes so maybe that's just how it goes! These next few updates are likely to be short and sweet as apart from the Littleborough 5k on Tuesday the remaining runs for my challenge will be Parkruns so no lowdown on the route etc. Nearly there now with 3/4 of the runs completed. I'll leave you with the usual results evidence along with a lovely picture of my glowing complexion, whats that phrase, women don't sweat they glisten!! Aherm.....here is me 'glistening' like a shiny tomato! Ha Ha! I'll explain the sunburn later but firstly, a big cheer as I have finished my final 10k from the Challenge! Woo Hoo! 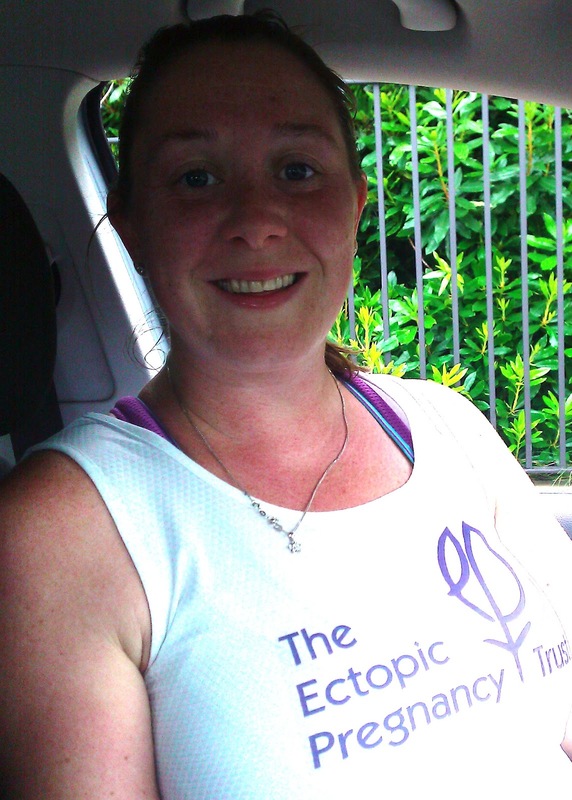 The final 10k was in the beautiful Escrick Park Estate. It was a fab event in that it was extremely well organised (though 7 toilets for 6-700 runners plus supporters was a little interesting), had brilliant marshalling and support ALL the way round and a lovely village get together for the spectators. 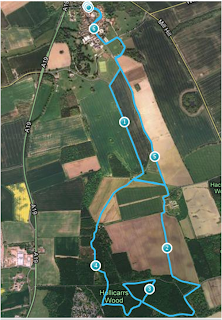 It was a lovely flat course on roads, paths and bridleways which took us through the Estate grounds then into open fields and through beautiful woods. 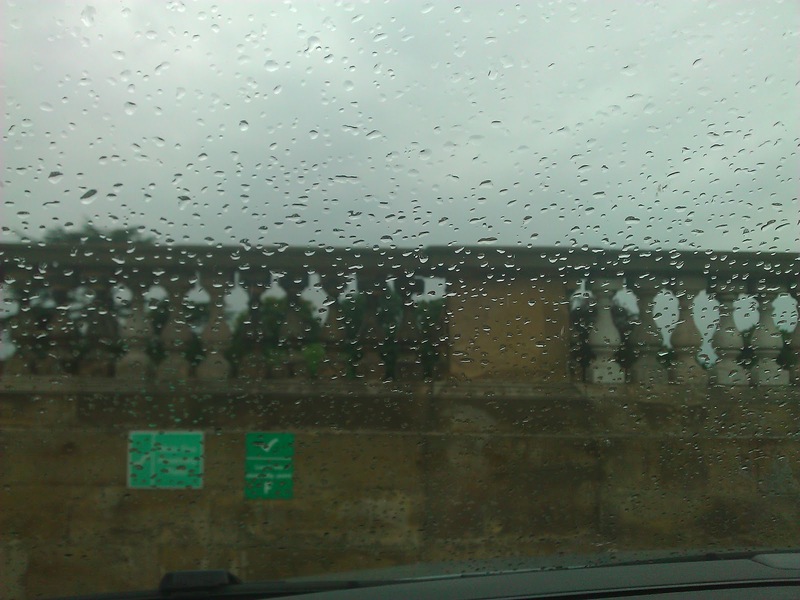 So, now I've finished detailing the beauty of the event and surroundings, lets get on with reality - it was HOT! When I say hot I don't mean summer dress weather, I mean bikini weather (don't worry I didn't)! From the minute we got there it was scorching! We had about 45 mins before the start so set off to collect numbers and for a convenience break given the long drive. It was manic busy (see previous comment re loo and imagine 6-700 people collecting numbers) and so we never had chance to get back to the car to apply sunscreen - big mistake. The start was crazy with so many runners but we soon spread out and set off into the open fields. I didn't have a great start up to 4k and was still quite a way off usual pace with the heat, so was glad to enter the woods at 4k and even happier to see the drinks station at 5k. Maybe it was the heat but the woods were very disorientating (see map below) and I began to think I was never going to get out of them. People were dropping like flies with the heat, plenty walking and I have to say at 7k I had to join them for a little as it was so hot I felt ill. The last 2k was back out in the open fields in the blistering heat again and I can't even tell you how glad I was to see the car park and know I was 1/4 mile away from the end. My time was terrible 1:20 (official results not out yet) but that said I wasn't in the least surprised. Jonathan said that he had also had a bad race, lets put it this way he didn't finish the race with the same amount of breakfast inside! Someone had been seen by the ambulance at the end as they passed out over the finishing line and there were so many just walking at the end because the heat was too much. Look how happy (and Red) I am, see I promised embarrassing pictures! After a couple of bottles of water refuel and a little something to eat (shame it was so hot as the cakes looked delish but I couldn't manage one) we set of back to the car and this happened! I was not impressed, where was this during the previous hour? 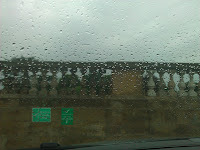 It was still 24 degrees, though the rain had cooled it some, so who knows what temp it was in the middle of the race. It is fair to say we were both pretty sunburned on our shoulders and both felt rotten for the rest of the day. Oh well you live and learn! Anyway that's the last 10k done for now - what a relief! Next week Parkrun, then I might do a sneaky evening 5k Bank Hol week as there's one not too far from us. On the home straight now and fundraising is up to £547 with gift aid, so going in the right direction for my £750 target. A short while ago I spotted the Ron Hill Sale Sizzler 5k race and having met the man himself at a previous run thought we'd give it a go. 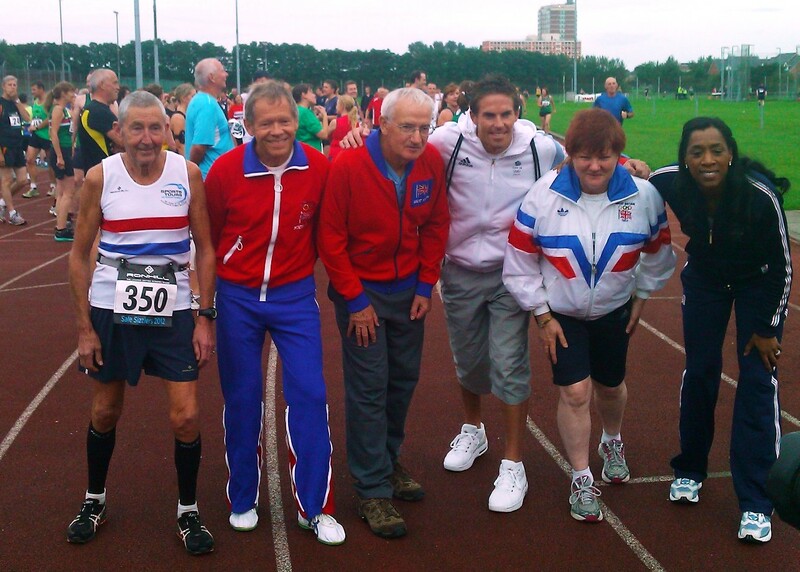 The Sale Sizzlers are a series of four 5k runs but the final one last night was very special as they had past and present Olympians in attendance. It was a lovely atmosphere with a fun 'Mr Motivator' workout at the start and plenty of opportunity to get photographs of the Olympians such as Dr Ron Hill MBE, Diane Modahl, Jeff Norman and Stuart Stokes who was fresh from London 2012. It was a nice easy flat course though a hot night which left me with a time of 32:43 so not brill but what an honour to have run with such great Olympic heroes. Dr Ron Hill posted a time of 25:43 which in the V70 category is amazing and another Olympian Jeff Norman ran 21:02 in the V65 section - talk about inspiration! There were some unbelievable times with the first runner back in 14:32 which I believe broke the course record and the team course record was broken as well! It was also great in a field of over 600 people that started (there were only 510 on the results so not sure how that worked) to bump into a friend from work at the start line - small World! This run took me to 60k and with Escrick 10k Sunday I'll be at 70k by the end of the week which is great progress. Sorry I didn't get any of the usual embarrassing pictures of me at the end of the race, I'd been so taken with getting ones of the Olympians we realised in the car home that we'd forgotten! I'll get some Sunday I'm sure. 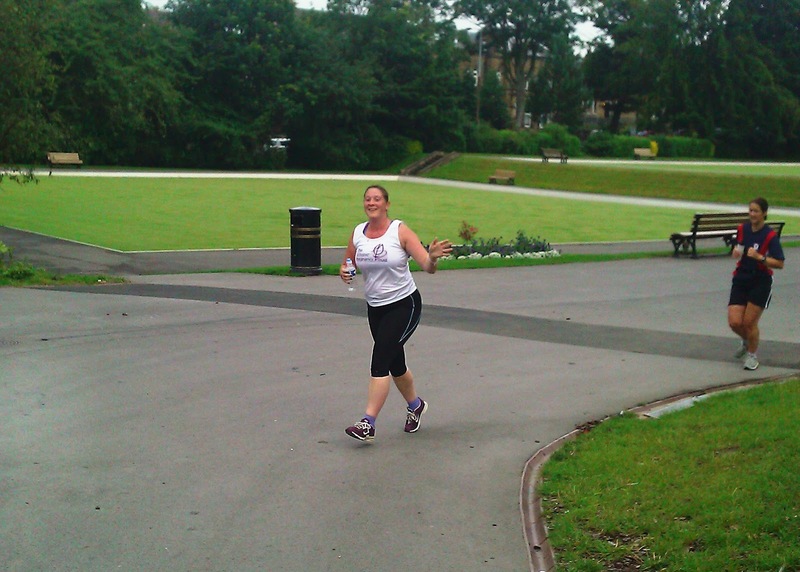 Today I completed my third 5k at the Huddersfield Parkrun, taking my total to 55k. I had a bit of a mare as I forgot my barcode which is how they track your placing and time! Fortunately as Jonathan also does the parkrun sometimes I could grab his barcode and run as him, though that's going to skew his figures a little but at least it meant I would have my time recorded. So I got Jonathan to take pictures to prove I was in the race and then if you were in any doubt you could look at his time today which is about 10 minutes slower than his PB! Ha Ha! Here's the official time from the website, note the 'pb stays at' box, oooops! Jonathan is going to look like he's made a significant improvement next time he parkruns! Ha Ha! Apparently though I was 6th male back in my cateogry! Not Bad eh! It wasn't a great run today though, I'd love to say it's probably because my rotten cough will not go away, but in truth I think it was partly that and partly that I was just not 'feeling it'. That said I know Jonathan's time can vary by a minute or two (or even 10 now) so maybe that's how it goes. Time will tell as I'll be back at Huddersfield for the Parkrun again next Saturday, then I've hopefully got the Ron Hill Sale Sizzler 5k on the 16th and the final planned 10k at Escrick on the 19th August, to take me to the 3/4 point of the challenge. It's true - 50k of my Challenge is complete after today's race, though what a race it was! In truth the really amazing thing that happened today was that I got to meet a super running hero. I had heard that the famous Dr Ron Hill MBE (former European and Commonwealth marathon champion) had previously attended the Idle trail race. Having been amazed by his achievements couldn't belive how lucky I could be to be running in the same race and maybe even to meet him! I was beside myself with excitement when I approached him to ask could I have a photograph as a memento and he agreed! In the end up he (obviously) finished way in front of me, not surprising given his running credentials and the fact that he has a 'run every day' streak that is almost 50 years long. This was truly the highlight of my day as the rest of it was a disaster! Given that today I reached the half way point of my 100k challenge I should be jumping around with glee and I am so proud to have reached this stage. The reality is though that I've been so ill this week with a cough and cold that I barely made it round the 10k Idle Trail route. It's a real shame as I'd decided a few weeks ago, that given the race would definitely not be a PB route (more about that later) I would just enjoy this one. With 15 races making up the challenge I thought it would be nice to just have one race that I could enjoy, not stress about time, not worry about people chasing after me or trying to catch those in front. Well I couldn't stress about my time as I coughed and spluttered my way round. The race was definately a trail race taking in a stretch of the canal bank but also running through cow fields, over stiles, through woods and up more than a fair share of hills. If I had been in any doubt whether I was better suited to road racing I'm clear after today, I am NOT a trail runner, road is my bag! I got to one part which where I was directed up a set of steps which led to an uphill track through the woods and wondered what on earth I was doing there - raising funds for the Ectopic Pregnancy Trust I reminded myself, keep putting one foot in front of the other Keri. You can see some pictures of the route here and picture 11 shows the steps that defeated me! I finished in a rather slow 1:15:53, so it was a good job I'd said I wasn't worried about time today! 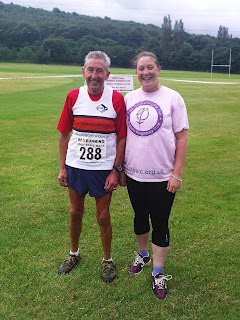 Jonathan also did the race (56:04) and my friend Wendy who is training for the Great North Run (1:07:35) so congrats go to them. Official results are here. So not a great race for me personally but it was an extremely well organised and marshalled race with plenty of St Johns ambulance support plus the most amazing cake stall! 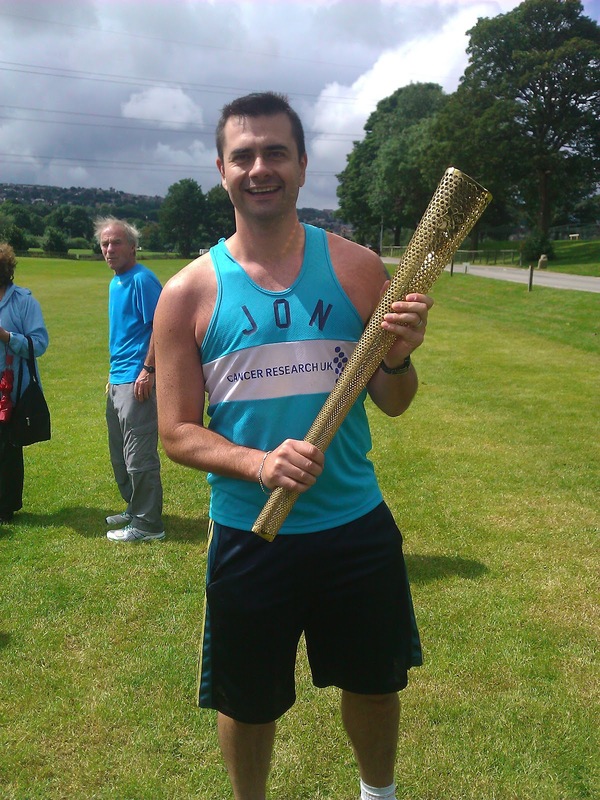 Jonathan also managed to get his hands on the Olympic Torch so everyone was happy. Onwards and upwards now with the second half of my challenge, 2 parkruns for the next two saturdays and then the final 10k of the challenge on 19th August. Don't forget if you want to sponsor me then the details can be found here. Bella BoutiqueTutorials by Bella Boutique is licensed under a Creative Commons Attribution-NonCommercial-ShareAlike 3.0 Unported License. Permissions beyond the scope of this license may be available at www.bella-boutique@hotmail.co.uk.